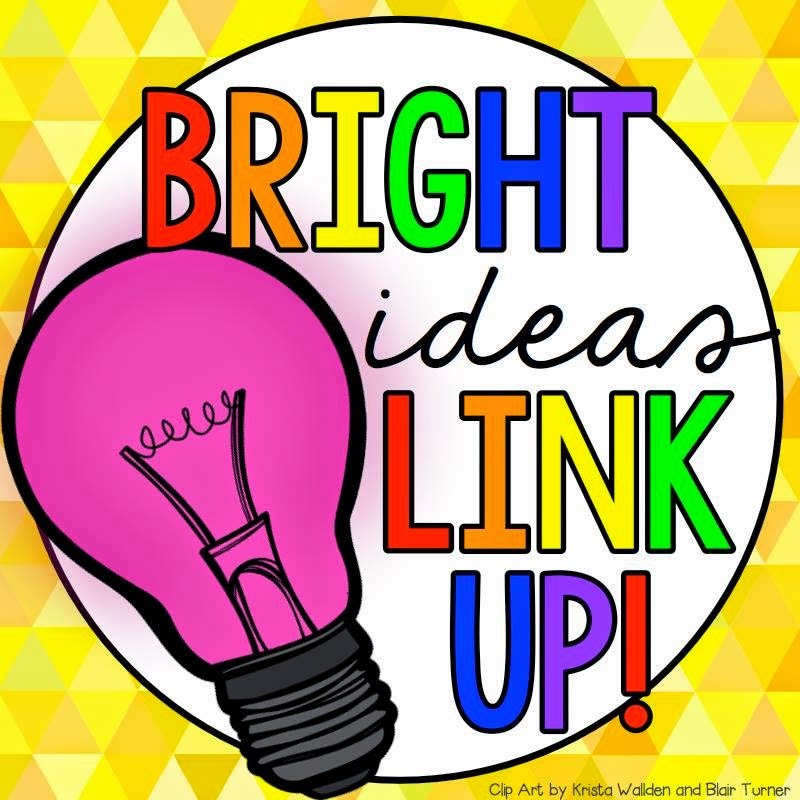 Teach Laugh Plan: Bright Ideas for Back to School Fun! Bright Ideas for Back to School Fun! OMG! Summer is over!!!! Time to head back to school and hit the books! Students start on August 25th in my school district and teachers officially start on August 18th, however, as you already know, many of us have been busy attending staff development and making things for our for months now. Today I thought I would share with you some of my tried and true first day of school activities. They are favorites of mine and my students and a great way to start off the year..... Puzzle Races and Saving Fred. First the puzzle races. All you need to do is to divide your class into groups of 4-5 students and you need some puzzles. I set up my student desks in in groups of 4-5 students so that is how I decide my groups. You can find inexpensive puzzles at the dollar store and even Target's dollar spot. Of course you should pick a puzzle size that is appropriate to the age of students you have. 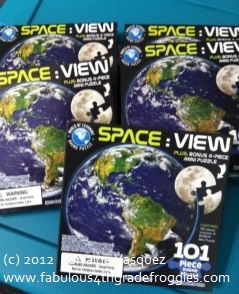 I buy 100 piece puzzles and its perfect for my 4th graders. I always buy the same puzzle for each group so no one can claim that their group's puzzle was harder or easier. :) The puzzles I am using this year are pictured to the left. I bought them for a dollar each at Target a couple of years ago and they are still good to use. No lost pieces! I give each "team" a puzzle and tell them they must work together to complete the puzzle before the other teams finish theirs. The conversations that go on are priceless. You will learn a lot from your students by just watching and listening. Once every group has completed their puzzles we have a talk about what some of the groups good strategies were. I've heard everything from "we did the border of the puzzle first" to "we didn't get bossy with each other". Now for the Saving Fred. 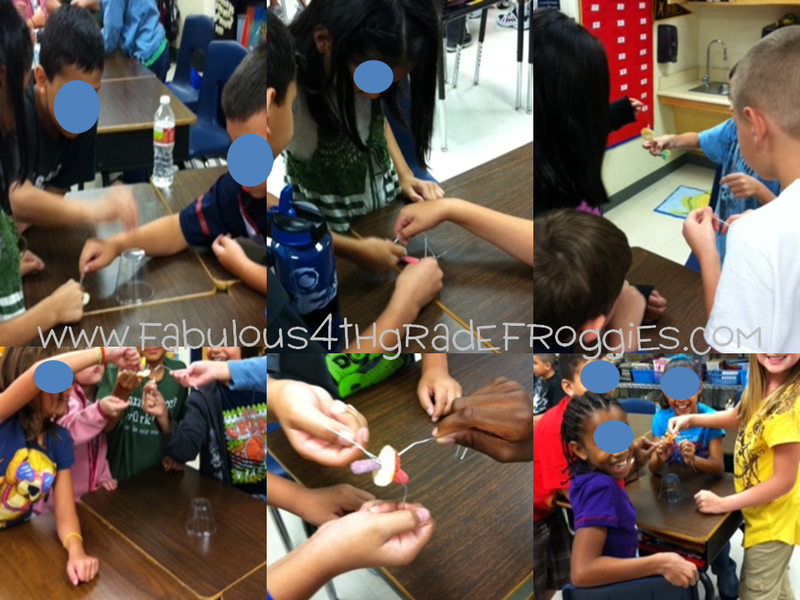 For this fun activity you will need: a gummy worm, a gummy ring, a plastic cup, and paper clips per group. You can do this activity in partners but I prefer to do it in small groups. In fact, I like to use the same groups that did the puzzles together. I also usually do this activity the second day of school and do the puzzle race on the first day. To set this up you will need to but a ring on the desk with the plastic cup upside down over the gummy ring and put a gummy worm on top of the cup. The story is that Fred (the gummy worm) can't swim so he always has to wear a life preserver (the ring). However, his boat (the cup) capsized/flipped over before he put on his life preserver. It is the students job to work together to get the life preserver on Fred and the only rule is you cannot touch the Fred, his boat, or the life preserver with your hands. Hence, the paper clips... the only "tool" the students can use is the paper clips. Talk about team work and strategies! This is a great activity for both! I hope you enjoyed the bright back to school fun ideas and even try them with your class! I would love for you to join me on Facebook, Twitter, and Instagram as well. For more bright ideas from more than 100 bloggers, please browse through the link up below. Just find an idea or grade level that interest you! Fun ideas! I've done the puzzle idea before with good results. I like the idea of the activity Saving Fred and will have to give this a try! Thanks for sharing! The puzzle races make me want to teach 4th grade again! So fun! I'm thinking Saving Fred is coming up in the lives of my students! Currently in August.... what, August?